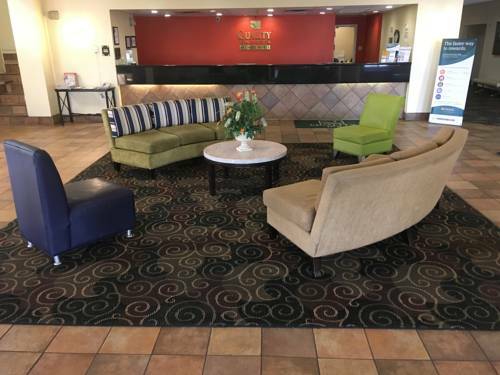 Get more for your money at the Quality Inn and Suites Winter Park Village Area hotel in Orlando, FL near Walt Disney World and SeaWorld Orlando. Nearby attractions include Amway Arena, Citrus Bowl, Orlando Soccer Stadium, Universal Studios Florida and Islands of Adventure. Get more value with amenities like free breakfast, free WiFi, an outdoor pool, free parking, a business center and a 175-guest meeting room. Guest rooms include a flat-screen TV, hair dryer, coffee maker, iron and ironing board. Also, earn rewards including free nights and gift cards with our Choice Privileges Rewards program.